Earlier this week, it was Rediffusion. Today, it's reported that SunPage, the last paging service provider in Singapore, is also shutting down its paging service at the end of the month. 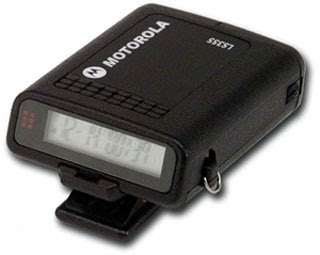 Just as with Rediffusion, I'm sure it comes as a surprise to many that the pager is still around. And as with Rediffusion, I expect there will be nostalgic tributes to the pager, a particularly '90s artifact while Rediffusion spanned generations. But unlike Rediffusion, I think hardly anyone is sad to see the pager join the typewriter, the cassette tape, the VCR, the floppy disk, the laser disc and the PDA in the technological graveyard. 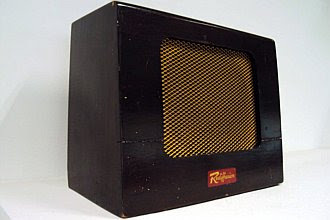 My not-so-fond memories of Rediffusion is me being glued to the box for four hours in my aunt's one-room flat at North Bridge Road every weekend in the early '80s just to jot down the title of every single one of the American top 40 hits with the chart positions as counted down by Casey Kasem. I was rather obsessed back then. Now I just go to Billboard.com. I remember Queen's Another One Bites The Dust being No. 1 like forever (actually, only three weeks). Then in 1993, one of my first assignments as a journalist was a magazine feature on Rediffusion. Even then, my reaction was "Rediffusion is still around?" But that was when I met DJ John Klass, who would soon have hits with his band Kick!, and programme director Juanita Melson, the original voice of MRT. Both are now my Facebook friends. Yay! I also met my hero Chris Ho at Rediffusion, where he hosted a show and had me on as a guest once. Unfortunately, he has chosen not to add me as a "friend". I just noticed Phua Chu Kang is visibly wearing both a handphone and a pager on his pants in the first episode of PCK Pte Ltd in 1997. By the final season 10 years later, he's wearing nothing. I mean you don't see the handphone and pager anymore. Presumably, he ditched the pager and the handphone is slim enough to keep in his pocket. And so 30 April 2012 will mark the end of two eras. Rediffusion should've just change its name to Instagram.